DJ Sabine spins Global Soul: House, Afrotech, Afrobeat, Haitian Roots and other diasporic tunes. She is the new Brand Marketing Director and DJ/Producer at Ocha Records. She has been a panelist at several discussions at the Caribbean Culture Center African Diaspora Institute (CCCADI), highlighting the power of spirituality in the arts and will speak at the forthcoming 27th Annual Women of Power Conference 2014. She is one of MediaServiceNYC's Most Respected House DJ's of 2014. 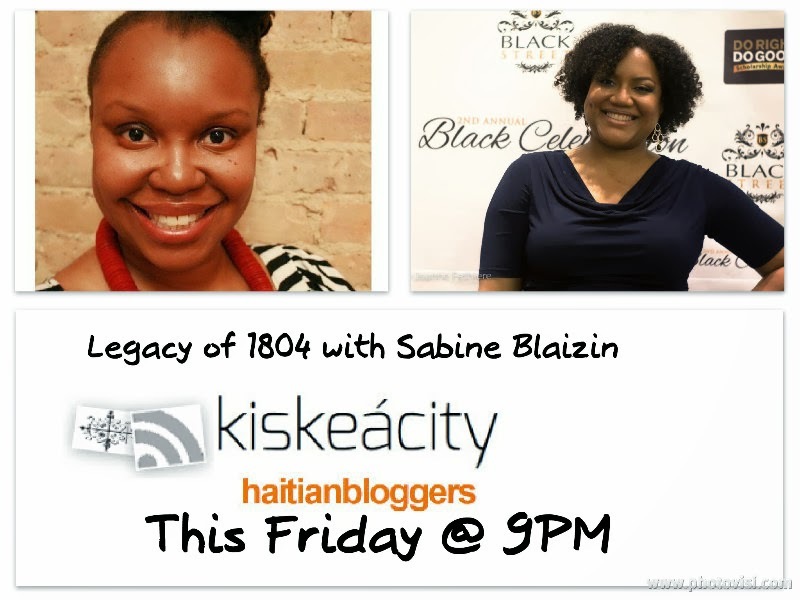 Listen Online http://www.blogtalkradio.com/blackwholeradio/2014/03/01/legacy-of-1804-with-sabine-blaizin-lof1804 or on the phone at (323) 927-2913. 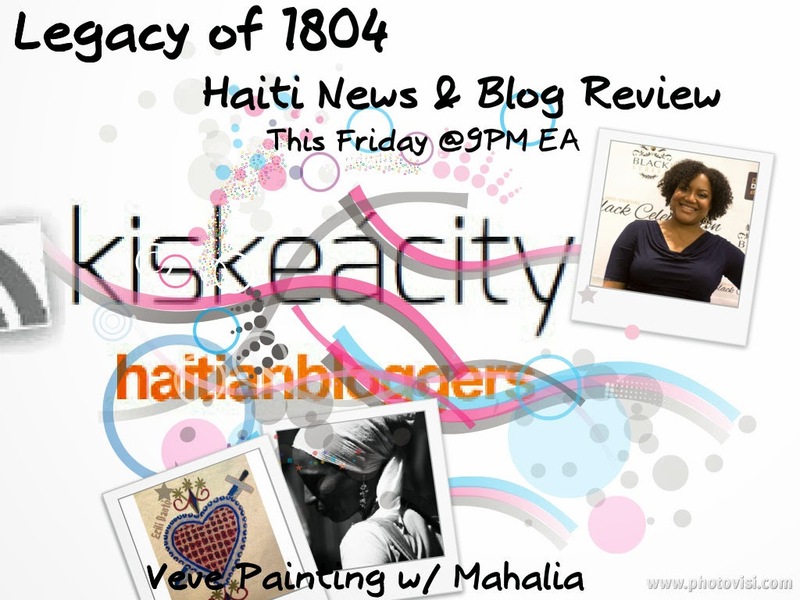 Join me as I review recent Haiti and diaspora news and current affairs and welcome flash guest Mahalia Stines on her March 8 vèvè painting workshop at Haiti Cultural Exchange. Mahalia Stines is a Haitian-American designer based in Brooklyn NY. She is a multi disciplinary designer who draws inspiration from both her native land and her hometown. She describes her work as "Brooklyn meets the Tropics". Listen Online http://www.blogtalkradio.com/blackwholeradio or on the phone at (323) 927-2913(323) 927-2913. Join me this Friday I discuss Saturday's #InsideVodou workshop with flash guest Wynnie Lamour of Haitian Creole Language Institute, Eve Ensler's V-Day in Haiti this Feb. 14 and more! 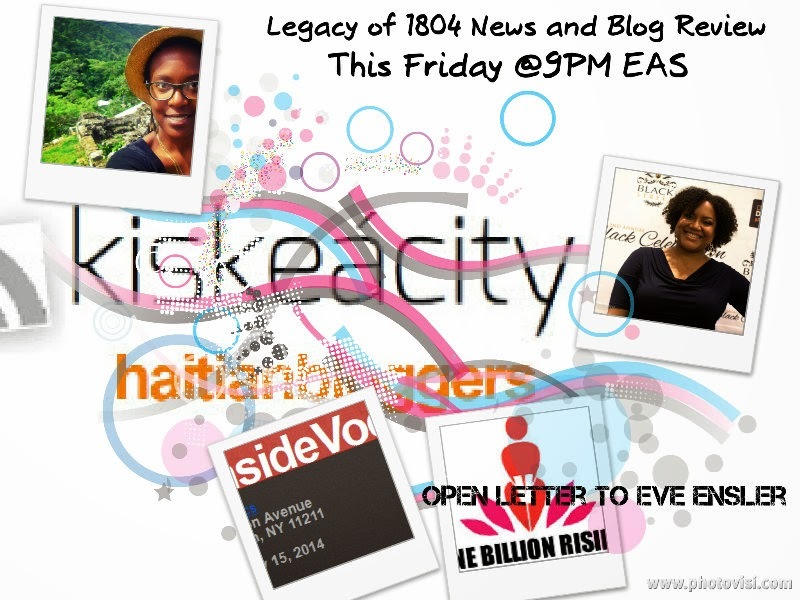 Listen Online http://www.blogtalkradio.com/blackwholeradio/2014/02/15/legacy-of-1804-haiti-news-and-blog-review-vday or on the phone at (323) 927-2913(323) 927-2913. TO SIGN UP FOR THE FREE NEWSLETTER AND/OR INVEST INTO MY EFFORTS, TEXT YOUR EMAIL TO 917-746-7050917-746-7050. Join me this Friday at 9PM as I discuss Haitians in the Bahamas and the #ShamelesslyHaitian hashtag with Dr. Bertin Louis. Bertin M. Louis, Jr. is an Assistant Professor of Anthropology and Africana Studies at the University of Tennessee, Knoxville. Dr. Louis studies the growth of Protestant forms of Christianity among Haitians in the Bahamas and the United States, which is featured in his forthcoming New York University Press book, “My Soul is in Haiti: Migration and Protestantism in the Haitian Diaspora of the Bahamas (2014).” He also studies stateless Bahamians of Haitian Descent. Dr. Louis also informs students, faculty, and the public via radio and television about Haitian history and culture. Most recently, he created #ShamelesslyHaitian, a trending topic on Twitter. Radio host and activist Berlotte Antoine will also join us to discuss an up and coming civil legal clinic targeting Haitians in Brooklyn organized by Councilman Jumaane Williams . 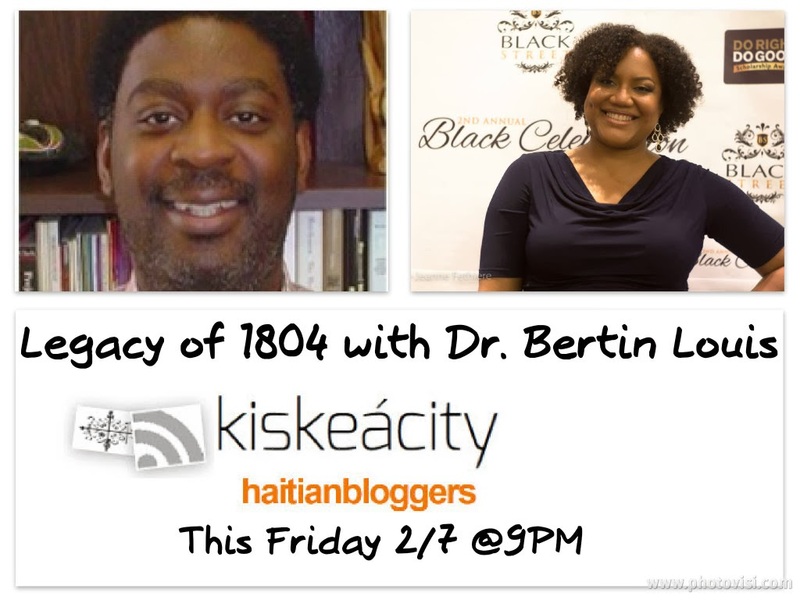 Listen Online http://www.blogtalkradio.com/blackwholeradio/2014/02/08/legacy-of-1804-with-dr-bertin-louis-shamelesslyhaitian or on the phone at (323) 927-2913.